The market opportunity for SaaS companies within IoT becomes huge once these devices become more pervasive. Today, the primary market opportunity for SaaS companies is centered around enterprise, web, and mobile sectors, with industries more skewed toward modern non-traditional (non brick-and-mortar) sectors. That market is less than $20 billion. With IoT devices, many traditional industries such as energy, utilities in general, construction, transportation, and the environment will be ushered in the 21st century of connectivity. That means stakes are much higher, as these multi-billion dollar industries are much bigger than the modern enterprises. There is a reason GE calls IoT the Industrial Internet of Things (IIoT). Not only that, we anticipate that IoT will bring brand new challenges – which subsequently pave the way for opportunities – for current and next generation SaaS companies to build services and products. 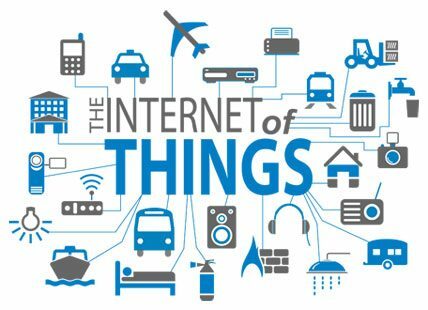 For example, current generation solutions might not work as they are to get similar intelligence, data, and analytics for IoT devices such as sensors and actuators. Similarly, applications for Quality of Service (QoS), Security, Billing, Maintenance and so on all have to be reimagined (or retrofitted) in the world of IoT. As far as data is concerned, what we call “Big Data” today will look like rounding error in 3 years with the amount of data generated by 50 billion IoT devices.